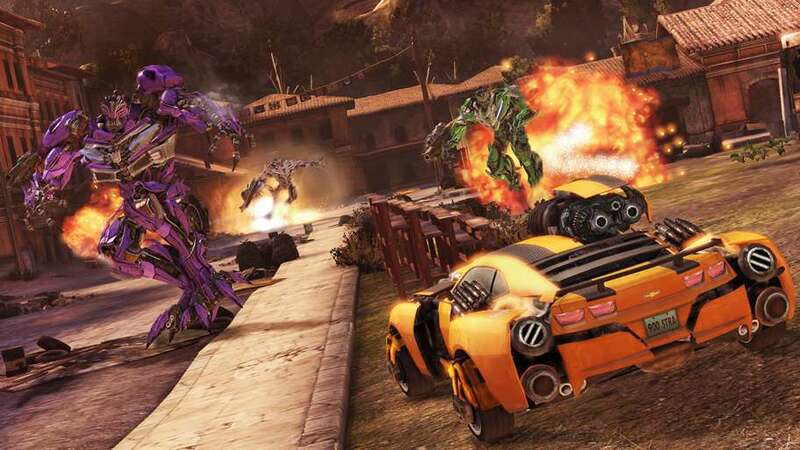 Activision must have been pleased with how High Moon’s Transformers: War for Cybertron turned out – the studio has been allowed to continue their good work here, albeit in a slightly more casual fashion. This makes them the only studio that has been let loose on the Transformers license twice in a row. So well done to them, and well done to Activision for not closing them down. It’s clear from the start that High Moon was up against a tight deadline – what’s on offer is a rather short experience. But that’s not to say it’s sloppily made – it flows really nicely and there’s a solid and sturdy feel throughout, with each of the seven levels dedicated to a different ‘bot. Rather than relive the events of the movie this is actually a prequel, explaining how the Deceptions discovered the Transformer assassin Shockwave and how the Autobots tried to stop them. Yellow fellow Bumblebee kicks things off gently; the opening stage acts as a tutorial and gives the chance to play around with the new ‘stealth force mode’. I’m not sure why it has been given this moniker as there’s nothing stealthy about it. Quite the opposite, in fact – it’s a vehicle mode that allows you to circle the opposition more easily and lock onto targets. Most levels have long winding roads, giving you a chance to put the Transformer’s vehicular modes to good use. Although short the levels feel significantly different from one another. Ironhide’s city based level has a focus on using powerful weapons; Mirage can cloak himself and carries a sniper-rifle thus giving his mission a stealthy feel. Then there are the Deception missions, all of which are slightly longer lasting than the Autobots’ adventures. Starscream’s level takes the form of a reasonably accomplished fight-sim while Soundwave’s stage lets you control Laserbeak. As Laserbeak is only a tiny chap, enemies have to be stunned first before attacking. He’s also able to hide inside crates and the like and leap out when a foe’s back is turned. I won’t spoil the last two levels, but I will point out that it seems a little odd that Optimus isn’t a playable character until the very end of the game. As shown in War of Cyberton, High Moon clearly has a passion for the franchise. The robots look the part and they’ve managed to capture the personalities of each; there’s some witty banter between Ironhide and Optimus, and the usual rivalry between Starscream and Megatron. Once single player has been done and dusted there’s a multi-player mode to turn to. This is a streamlined version of War for Cybertron’s multi-player featuring identical presentation. The rather good Escalation mode, in which you had to work as a team to take down waves of enemies, has been omitted however, which is slightly disappointing. This leaves us with team deathmatch and a capture the flag mode known as conquest. Conquest matches can be quite chaotic – it’s a challenge to maintain control of all three bases at once. Much like Call of Duty you can add perks to your character and choose weapon load-outs. The bizarre thing here is that it takes very little time at all to max your character’s stats out. And that’s not an exaggeration – after just over an hour of play I’d gone from being level 1 to level 20. Make no mistake – this is a very casual experience in terms of length and difficulty. Upon discovering that each level has a target score to beat I thought there might be a bit of replay value to be had but sadly that’s not the case – if you don’t beat the set scores on your first attempt then you no doubt will on your second try. The only incentive to play through the game again is to find all the hidden Transformer logos, which is only going to appeal to those wanting to unlock the achievement for doing so. 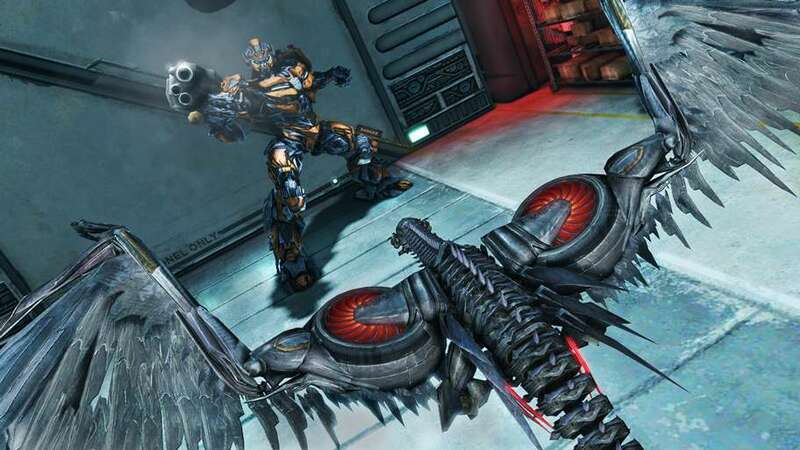 If you fancy having a blast with the battling ‘bots go for High Moon’s previous Transformers game. As movie tie-ins go though, this still stands as one of the better ones, especially when compared to stuff like Terminator Salvation and Sega’s dismal Iron Man games.